Our last place had a huge garden (by my standards) – allotment-sized veg plot, greenhouse, lawns, a long driveway and a front garden with trees – the most beautiful mature corkscrew hazel you’ve ever seen, ripped out by the new owners sadly – and lavender hedges. It was a lot of work to keep up in conjunction with running a business that sucked up time and we didn’t always keep on top of it as well as we should have. 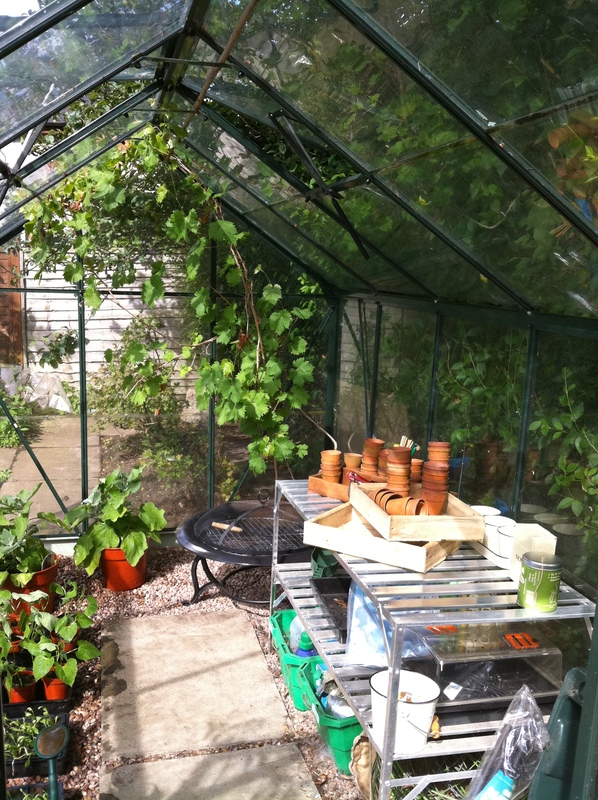 But that greenhouse (<<<<) was lovely, don’t you think? I miss that space to potter in and the wonderful heady smell of ripening tomatoes on a hot summer afternoon. 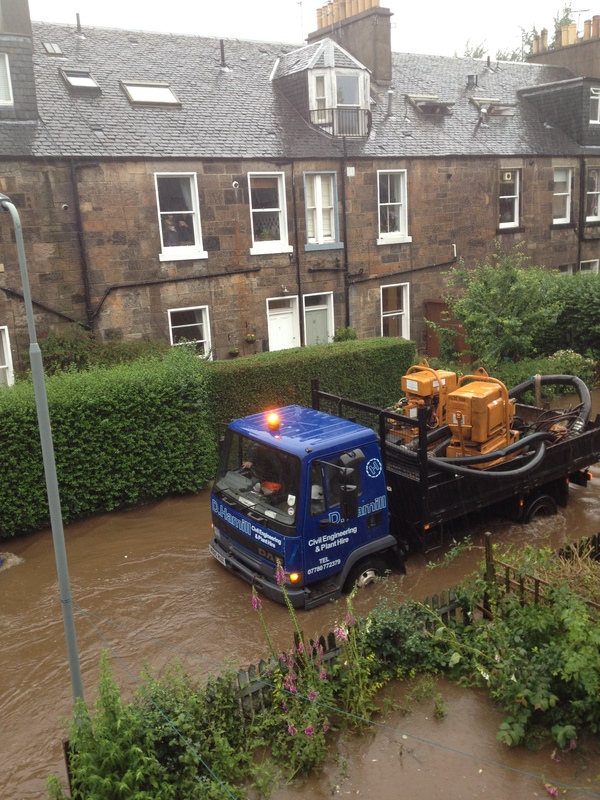 But while moving back to Stockbridge was a brilliant idea in many ways, we are rather short on green space. Our plot measures 5.5 metres by 6.5 metres which isn’t exactly spacious and as it fronts on to the street (admittedly with friendly neighbours and no through traffic) it isn’t exactly private. Plus, as we’re the upper flat, the downstairs flat’s bedroom windows look out onto our garden although their garden is on the other side, by their front door. I think gardening here is going to be a challenge in lots of ways. We didn’t rush to do much to the garden as the house needed so much work (still does in places) in the form of dealing with the three (count ’em) bare live cables the previous owner had just shoved out of sight beneath the floorboards, the kitchen which was beyond squalid and the bathroom which was positively institutional. It’s still an ongoing process – the problem with renovating a listed building which was fairly cheaply built is that nothing is straightforward – you strip wallpaper and large areas of lime plaster come away with the paper – and everything takes far longer than you expect. Plus, until a few months ago we still had the time-sink that was the bookshop and so work took even longer. But now we’re free and able to devote more time to the house and it’s coming on in leaps and bounds, so much so that getting stuck into the garden this summer doesn’t make us feel guilty because there’s so much other work to be done. All that river silt doesn’t do a lot for a garden… Mind you, it did even less for the neighbours who had to move out of their homes for months on end. But it’s time to start on the garden and now the flood defences are completed, the flooding should be a thing of the past, so we’ve been getting cracking. For the purpose of scale, do bear in mind that the dog is HUGE! 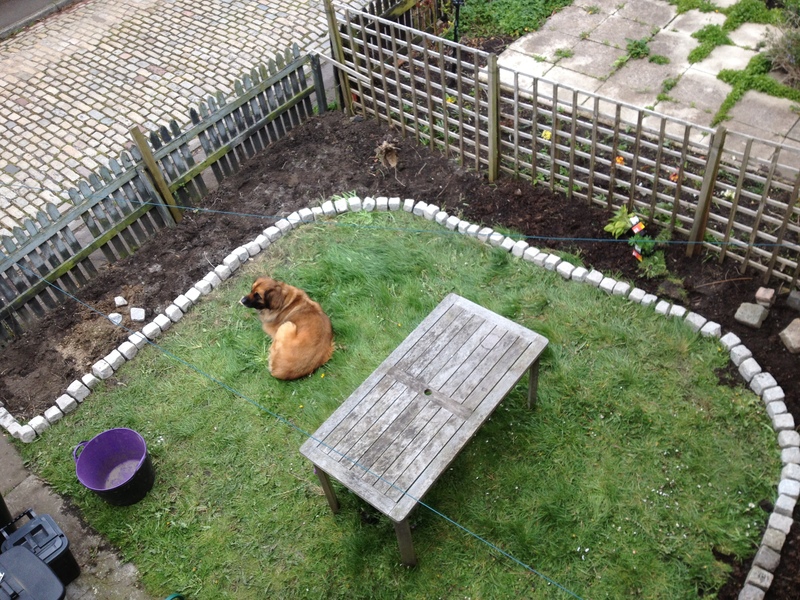 I’ve also planted a white buddleia, two scabious, a lavender, a rosemary, some white foxgloves and some lupins. I think the last is optimistic given my track record with slugs but I’m an optimist. Next week, I’ll be ordering the new fencing and the edging setts will be mortared in place. 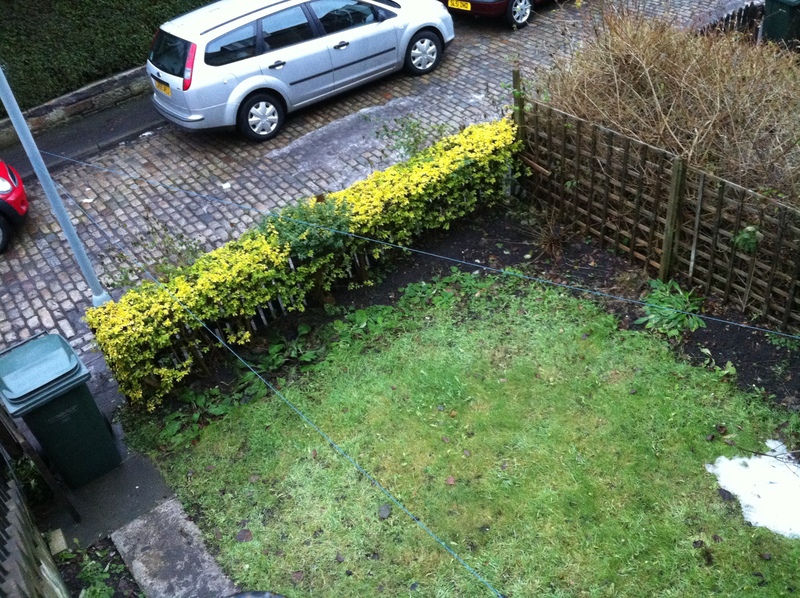 In the meantime – yay, a garden! 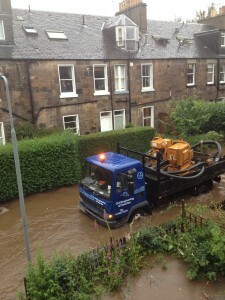 This entry was posted in Home and tagged flooding, garden, recycling. Bookmark the permalink. 2 Responses to Finally… we’re gardening! Your ideas sound lovely. Good luck.